State-of-the-art BIM tools connect participants from different disciplines in a construction project with each other through the development of a shared building model. Such a model is a representation of a building depending on the view taken. A building may, for example, be viewed as a set of spaces, as a sculptural form or as a set of force resisting elements. Depending on the view of the model taken, certain objects and their properties become relevant. The different disciplines involved in a construction project all need to establish and maintain their own views of the model, whereas they possess distinct, specialized knowledge and may operate from different locations. This requires forging links between knowledge at the boundaries of different professional worlds, which can be achieved through the use of human mediators or boundary objects. Three views of the same building: adding the MEP (middle) and architectural (bottom) models to the structural (top) model within Navisworks. Boundary objects are conceptual or physical artefacts that embed knowledge in a way that is interpretable by individuals from multiple knowledge domains. Examples within the AEC industry can range from 2D drawings, spreadsheets and other types of shared documents. The notion of a boundary object originates from a study of Star and Griesemer (1989) on how different actors with an interest in zoology can collaborate with each other despite having different backgrounds and interests. They found that effective collaboration across disciplines requires the management of a shared boundary object that is both adaptable to different viewpoints and robust enough to maintain identity across them. They furthermore theorized that boundary objects are weakly structured in common use and become strongly structured in individualistic use. Since then, multiple studies have informed us about the ways in which boundary objects enable effective collaboration and coordination. Boundary objects are brought to life through interaction between actors in multiple professional worlds. They facilitate the spanning of boundaries between these actors, articulated through the reaching of a shared understanding between individuals and quicker identification and resolution of conflicts. Another study demonstrated that the capabilities of boundary objects to promote a shared representation, transform design knowledge, mobilize for action and legitimize design knowledge were essential to help align, integrate, and transform domain knowledge across professional worlds. Within the AEC industry, there is a growing interest in boundary objects using the electronic medium. Traditionally, the representation of a design has been effected by each discipline producing its own set of drawings and presenting that to other disciplines for checking and commenting. Each set of drawings is then that discipline’s own view of the building. This way of working has its limitations, including difficulties in managing the vast amount of information and keeping track of versions, ownership or control of the design. Shared data models with “one object of design, but different object worlds” and where “no participant has a ‘god’s eye view’ of the design” have been put forward as an answer to such problems. 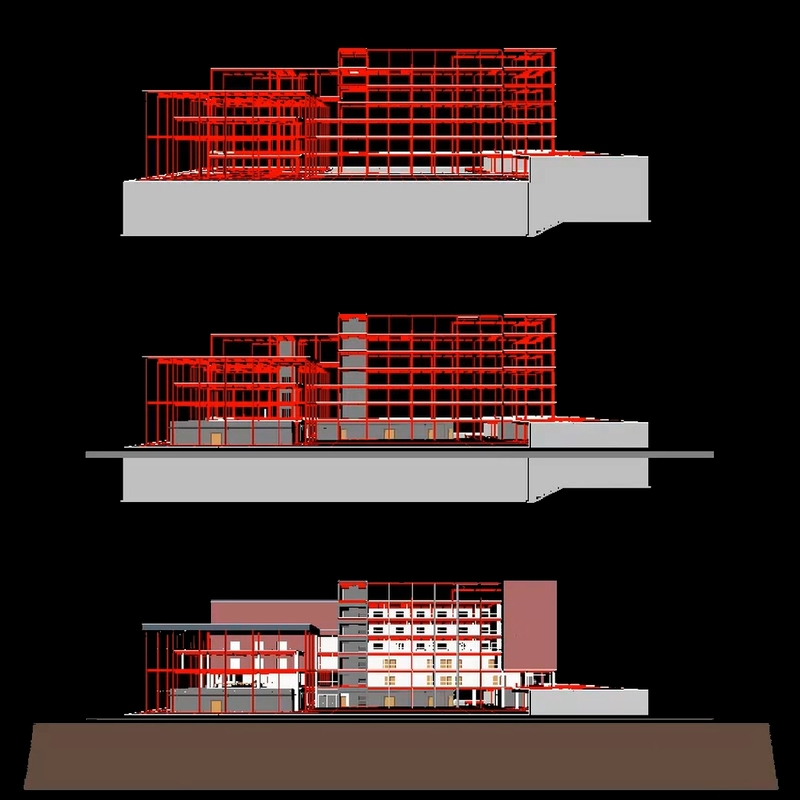 BIM tools enable the creation of such data models which may, accordingly, function as boundary objects. These data (or 3D building) models provide “earlier and more accurate” visualizations of a design and contain various properties that can be that can be analyzed, priced, interpreted and procured by distinct disciplines. BIM thereby addresses barriers at the semantic and syntactic level in a distributed environment. By allowing different disciplines to focus on specific knowledge aspects within the same model, it provides a common reference point around which people can interact, align their work and create a shared meaning. This means that BIM may thus well function as a boundary spanning technology. This conceptualization of BIM draws attention to the central role the technology can play in breaking down knowledge barriers, improving collaborative work practices and, ultimately, increasing the performance of the AEC industry.